I have to admire Cohoes mayor, John T. McDonald, III, for standing up and daring to champion the Cohoes Falls. I grew up in this town. The author’s remarks are true! I can only imagine the resistance he received in this small town from the “it’s never worked before” crowd. Prime waterfront real estate had remained a diamond in the rough for centuries, until this visionary wouldn’t let it rest. 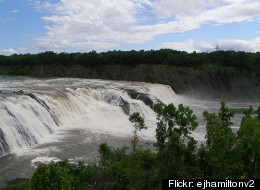 I am delighted to show my children and grandchild­ren the Cohoes Falls in all her glory, and the credit goes to John T. McDonald, III. Do you have a diamond in the rough story? Please share; I never grow tired of tales like these.